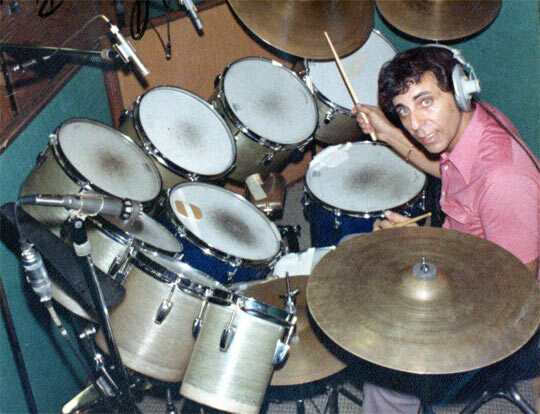 As part of our “uncovering” series we recently contacted Hal Blaine, the most recorded drummer of all time, and the man who arguably put Blaemire on the map. He was gracious enough to give us some of his time and tell his Blaemire story. 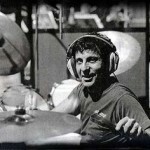 The following is a transcript of a conversation between Hal Blaine and Jerry Jenkins. Jerry: How did you come to start using Blaemire drums? Hal: I was doing a lot of expiramenting with sounds, this was before some of the stuff that could be done with electric drums. The sound that I liked was the fall-off. When you hit a drum and you get a nice sound, and then it falls off after a second. 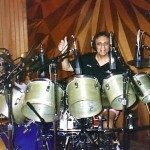 And I started using a set of timbales, two metal Latin timbales. And Ricky, my drum tech, put a tom-tom holder on the small one and he put legs on the larger one, and I was using those as tom-toms. And there was a record I did for Terry Melcher. I had been doing a lot of work for Terry with the Birds, and even his mother Doris Day and various people at Columbia. And we did a record called “Don’t Make My Baby Blue” with Franky Lane. And that record changed the whole thing. I mean, if you can get a hold of that record, I don’t think I have any, I use those timbales. And what I did was loosen the heads up a bit instead of playing high timbales the way they are usually played, they became my tom-toms, and I was doing incredible fills with those. I realized that I wanted to have an octave of those. And Ricky and I were looking around, talking to the kid at the drum shop, I’ve forgotten his name, nice kid, but he suggested that because the timbales had no bottom heads that we get an octave of drums, from a very small 6″ down to about 17″, and he knew about Allen so we got a set of the Blaemires the way we wanted them. It was actually 7 drums that we got and I was using my own floor tom as one of them. Jerry: This was at Pro Drum or Valley Drum? 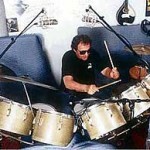 Hal: Pro Drum. Howie Oliver, that’s his name. Very nice young man. I’m not sure if he is still with us? Jerry: I think I heard not too long ago that he had died. Hal: Yeah, I think he did, I heard the same thing. Jerry: Now, Rick is not with us either, right? Hal: Yeah, Rick Foucher. He passed away, he was in the hospital for almost two years up in Sunland. I used to go up and visit. And so Remo made all the heads for us and they worked out perfect. We got them to sound just like those timbales with the decay from the little one all the way down. Ricky, my drum tech, he managed to get a hold of some Clevelight (sp?) stands from the movie people and he had somebody do some welding so it created a semi circle. And Ricky had put wheels on each side, from the high all the way to the low, and you could roll them in to my regular 4-piece set of drums. Jerry: I met Rick the same night I met you, at the premier of the movie, and I talked to him and he gave me a pretty detailed explanation of how he built the rolling stands for you. Hal: Good. They were just beautiful. And to me, it changed the drum world. Within probably 6 weeks to 8 weeks every drum company was coming out with them. I had given them all the dimensions, the whole thing. And first of all, I introduced them on an Ed Sullivan special and did a solo with Nancy Sinatra. We did the song “Drummer Man”. Great song, and it worked out just beautifully, and all of a sudden my phone never stopped ringing. Everyone wanted, you know, they were hiring me and most of them were saying, “could you bring those big drums”. So it was fun. The story of Ricky on its own is an incredible story of how we got him, back in the late 50s. I just got so busy it was impossible for me to get to a studio 30 minutes early and stay 30 minutes late. Jerry: I think I read an article that highlighted Rick’s journey with you and how he started going to the studios, and at first he was kind of rejected by the studios, or he wasn’t part of the union and couldn’t get in? Hal: The union was the people who did all the deliveries. And the people who had all these cartage companies refused to recognize him. They wanted to kill him. They were taking movies of him. They were leg breaker type guys. And it was my business manager at the time that spoke to the District Attorney in LA. And the District Attorney sent letters to all these people telling them that Mr. Foucher was getting his own Public Utilities Commission License and he was a bonafide cartage company. Hal: So, before long, I mean, everybody wanted those drums. It was incredible. Of course, I gave it all to Ludwig at the time because it had all Ludwig hardware on it. But I never thought about patents, et cetera, et cetera, and I just gave it to them. 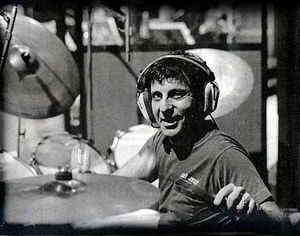 And they loved them and said, “thanks” and I thought they were going to call them the “Hal Blaine Monsters” (laughs) because that’s what Ricky and I called them. But they called them the “Octa-Plus”, which really was a great name. And that was their biggest seller for a long time. Hal: Anyway, that’s how things go, and that’s how things worked. It literally changed the drum world. 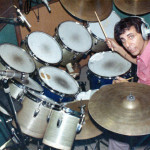 I know that Remo was happy because he was going from 4 or 5 piece drums where he was selling 10 heads to now with my set he was selling 24 heads, because I used a set of 4 plus 8, and I tuned them in quarters, low to high. And as a template in my head I was using the song, “I got Rhythm”. Worked out perfect. 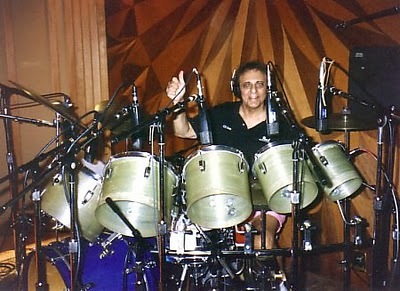 Jerry: Now I know that Dennis Wilson and the Beach Boys used your same drums. 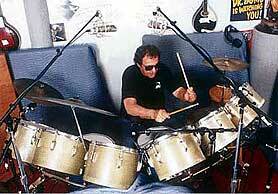 And I know that Karen Carpenter used those same drums. Hal: Yeah, well, Karen asked me if she could have a set made and I said “Sure! But why are you even wanting to play drums?” I mean, I have nothing against female drummers but I said, “Karen we’ve had 7 or 8 hits in a row! Big hits! You should be in front, period!”. But their parents, which I still feel, unfortunately, were part of her problem, said, “No. Richard is the star. She’s just the drummer.” Which was very sad in itself, obviously. Of course she went through this terrible divorce and that put her over the edge. Jerry: I know that she had the concert toms like you. But she also had a regular drum set built later on.